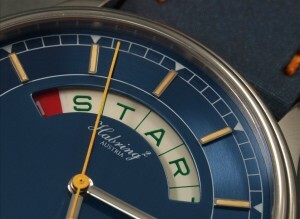 The Austrian watchmakers Richard Habring and his wife Maria Kristina founded their company Habring Uhrentechnik OG in 2003 in Völkermarkt, Austria. 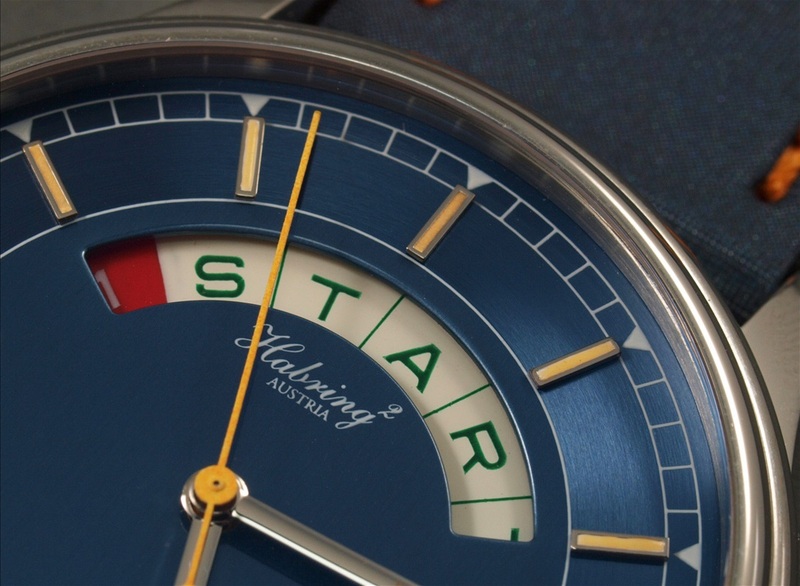 In 2004 they introduced their own brandname Habring². 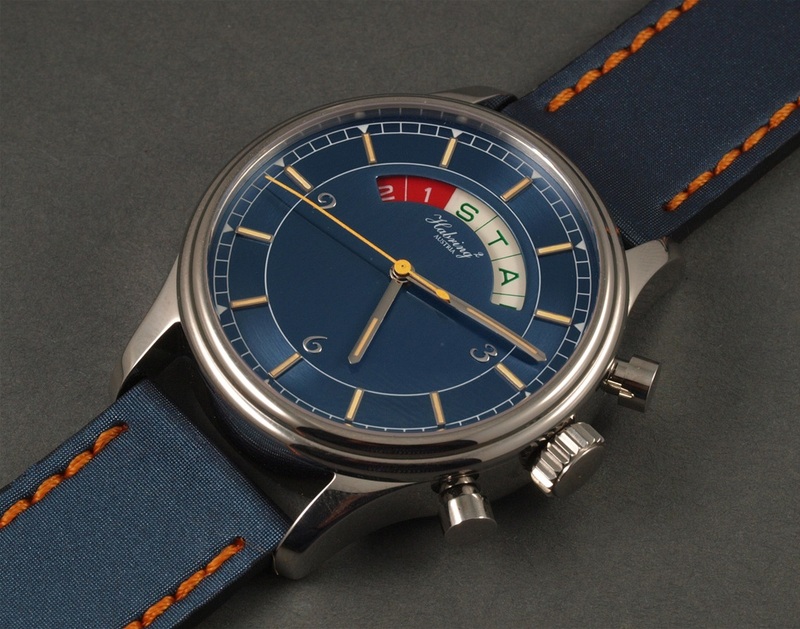 After having made two prototypes of Regatta Yachttimers for the Dutch brand TNG (see the TNG section here), Habring² developed its own regatta watch in 2007 as part of the ChronoSport series. This watch, named the ChronoSport Nautic, is made with a pretty much original ‘classic’ Valjoux 7737 movement as in the older Memosail models. As the 7737 movement is becoming more and more rare and the request for regatta countdown watches is very low, only a few pieces of the ChronoSport Nautic have been made. They have an individually engraved serial number 01-200X till 12-200X (year of production) between the lugs at 6 o’clock. Sold as up to day (2010) are three pieces. The Habring2 ChronoSport Nautic with Valjoux 7737 movement. Reference: dial coloured galvanic black, galvanic blue or coppertone, with black, blue or beige strap of microfibre material. Case size: Ø 42 mm. You can read more about the Valjoux 7737 movement in the Memotime 1970’s section here. Many thanks to Habring Uhrentechnik OG for their given e-mail information.